I like the groundedness of this photograph. The yellow and green belongs near the bottom and the darkest tone (the parking lot macadam) seems to tamp down the remaining visual elements, including the letter Y. 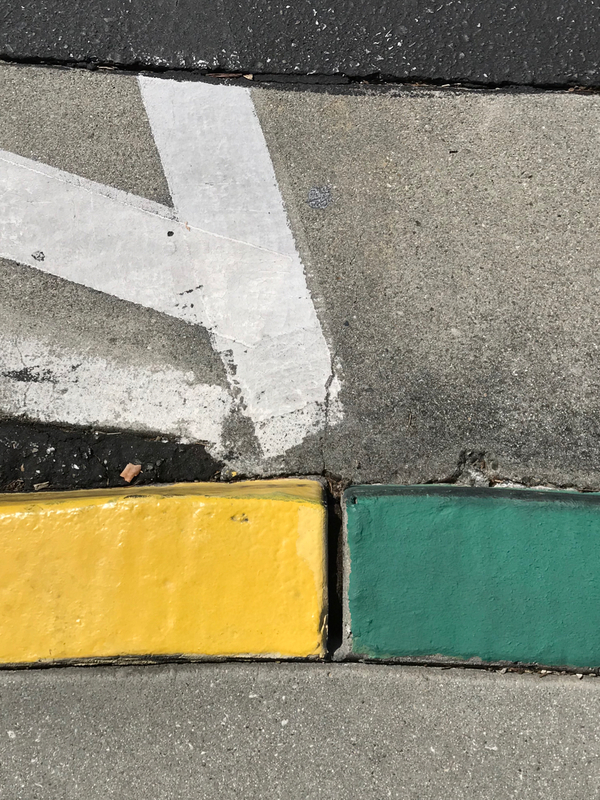 This entry was posted in Personal Stories and tagged abstract photography, art, colored curbs, creativity, curbs, found art, parking lot, photography, street photography, visual art. Bookmark the permalink.